Councillor Sean McPeake, Chair of Mid Ulster District Council, has expressed his condolences after the tragic events at the Greenvale Hotel in Cookstown: “Three families have lost precious children in the most tragic of circumstances. The loss is quite simply unimaginable and my heartfelt sympathies go to the families and friends who are grieving. “There is a widespread outpouring of grief among local people and to help the community express their sympathies with the families at such a terrible time, I will open books of condolence in the Burnavon in Cookstown, in Ranfurly House Dungannon and in the Bridewell in Magherafelt tomorrow morning. 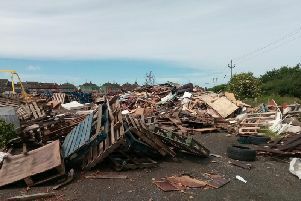 Councillor McPeake also appealed for anyone with information to come forward: “The Council is working closely with the emergency services in the aftermath of this awful tragedy and I would urge anyone with information to come forward to assist the investigation”.